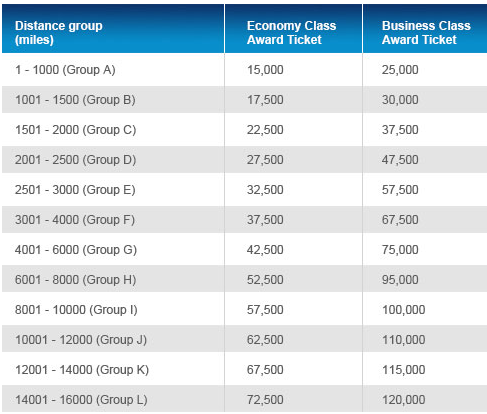 Rewards Canada: Potential to get a short haul SkyTeam flight for three cheap car rentals. Who's up for trying? Potential to get a short haul SkyTeam flight for three cheap car rentals. Who's up for trying? Alright, full disclosure upfront. We have not tried this ourselves but while updating Garuda Indonesia bonuses for our GarudaMiles page on FrequentFlyerBonuses.com we posted their new offer for Rentalcars.com car rentals and it seems like it is one of those promos that can really be taken advantage of to earn a lot of miles on the cheap. Normally we don't cover Garuda Indonesia here on Rewards Canada but seeing that you can use GarudaMiles for flights on their SkyTeam partners we felt this was important enough to share here. The bonus pays 5,000 bonus Garuda Miles when you complete a rental. You must be an existing GarudaMiles member to earn mileages. To be eligible to earn mileage, your GarudaMiles membership number must be inserted in the Driver Details page when making a booking on this designated website. GarudaMiles are only earned when you have paid for, picked up and completed the car rental. Please allow approximately 6 to 8 weeks after the drop-off date of your car rental for GarudaMiles to be credited into your GarudaMiles account. GarudaMiles will not be earned on the other items purchasable online such as Full Protection. GarudaMiles will also not be earned on any items that you purchase offline when you are picking up the car from the local car rental company such as baby seat, GPS, travel insurance and one way fees. GarudaMiles terms and conditions apply. GarudaMiles will not be earned on rentals being paid directly to local supplier on arrival. The total price was CDN$35 for a 2 hour rental (looks like you can have it for a day), so three rentals would be CDN$105 to earn the 15,000 miles (+ loose change in miles as you earn 3 miles for every USD spent before taxes/fees). Not a bad deal for a flight that could cost significantly more than that! THERE IS A CATCH HOWEVER! To redeem miles for a SkyTeam ticket via GarudaMiles you have to go to a Garuda Indonesia sales office in person. They only have two offices in Canada, one in Toronto and the other in Vancouver. If your travels take you to the U.S. or overseas you can also visit their offices in many cities around the globe. You can find all the offices here. So if you can make it to one of there offices are you up for the challenge? My bet is that you can find even cheaper rentals than I found above to achieve those miles at an even lower cost. Heck maybe you want to do more than three rentals to get up to higher award levels or business class flights. If you plan on doing this please let us know and keep us up to date on how it goes. First, make sure you join GarudaMiles if you haven't yet (you'll get 1,000 miles for doing so) and take screen shots of the bonus offer and terms just in case you need to fight for the miles.